EDINBURG — Just one game and one minute into his first professional season, RGV Vipers forward Tyler Lydon was headed to the bench after suffering a twisted ankle. A 2017 first-round pick out of Syracuse who is under contract with the Denver Nuggets, Lydon missed nearly a full month of action due to the injury suffered Nov. 6. After returning to Denver to rehab, Lydon reentered the rotation for the Vipers on Dec. 5. In three games during the past week, Lydon has averaged 14.3 points and 10.3 rebounds per game — a run of strong play he will look to continue as RGV hosts the Agua Caliente Clippers at 7 p.m. tonight at State Farm Arena in Hidalgo. Brase said Lydon “really came out of his shell” in a 122-112 win at Windy City on Friday, scoring 24 points with 11 rebounds. He made his reintroduction to the Vipers on Dec. 5 against Raptors 905, scoring 15 points with 11 rebounds after rejoining the team only hours before the game. Lydon said his first few months as a professional have been all about learning. With the Nuggets, he wants to glean as much as he can from the veteran players. And during his time with the Vipers, he’s focused on growing as much as possible from the on-court experience. 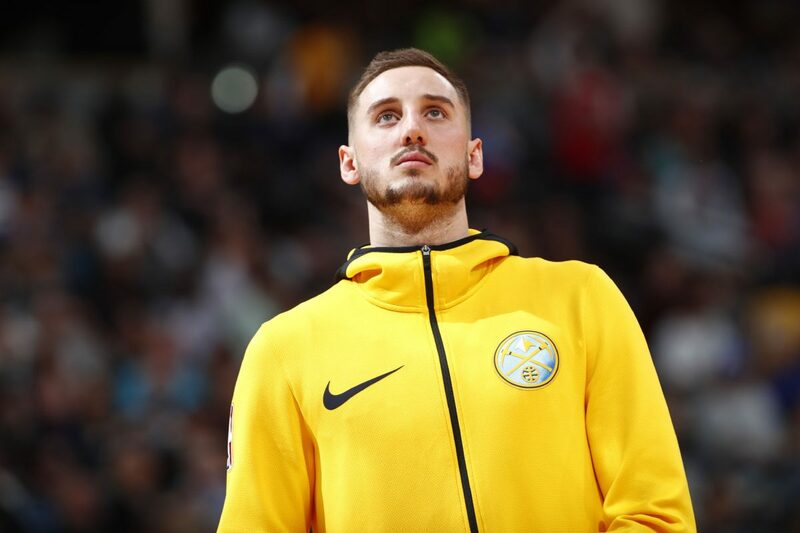 Lydon went from growing up in Pine Plains, New York — a town with a population of just 2,473 in the 2010 census — to playing in the NBA, making his Nuggets debut on Nov. 21. Lydon is focused on improving his physique. He’s leaned out his frame since the draft, and now the emphasis has shifted to putting on muscle. The 6-foot-9 forward has proven to be a capable shooter, hitting 36.4 percent from beyond the arc with the Vipers this season. Now, Brase wants to see him use that success to go around defenders and score at the basket. Defensively, Lydon was part of Syracuse’s 2-3 zone before jumping to a professional setting in which almost every team plays exclusively man-to-man. He said the assumptions that he wouldn’t be able to handle the shift were unfounded, given that Syracuse regularly worked on man defense in practice. Brase has seen Lydon quickly alleviate his concerns. Lydon’s ability to slide comfortably back into the system has helped the Vipers extend their 13-game winning streak — the longest regular-season streak in a single season in franchise history. That success has come despite regular roster turnover, as no player has appeared in all 16 games. Many of Lydon’s teammates have also shown the ability to produce despite inconsistent availability. Briante Weber, for example, played for the first time since Nov. 21 on Friday and posted a triple-double with 27 points, 11 assists and 10 rebounds in the win against Windy City.